iOS 8.4 is now available through iTunes, or as an over-the-air update using the Software Update function in iOS's Settings app. In addition to the new Music app, it also includes improvements for iBooks and bug fixes. Apple Music offers on-demand streaming of over 30 million songs, and features like Connect, a news feed where artists can post photos, videos, and comments for fans. The service costs $9.99 per month for a single user, or $14.99 for a family of up to six people. To start with, though, new subscribers get a three-month free trial. Beats 1 is free to everyone, and includes music and interviews hosted by mainly by DJs Zane Lowe, Ebro Darden, and Julie Adenuga. Apple is also planning celebrity shows hosted by artists like Disclosure, Elton John, Pharrell Williams, and Josh Homme. 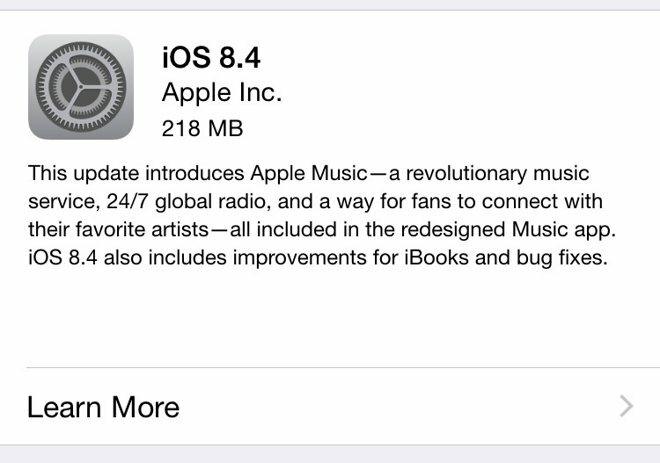 The iOS 8.4 update further includes a redesigned Music app, with improvements such as global search, new control gestures, and an app-wide MiniPlayer. 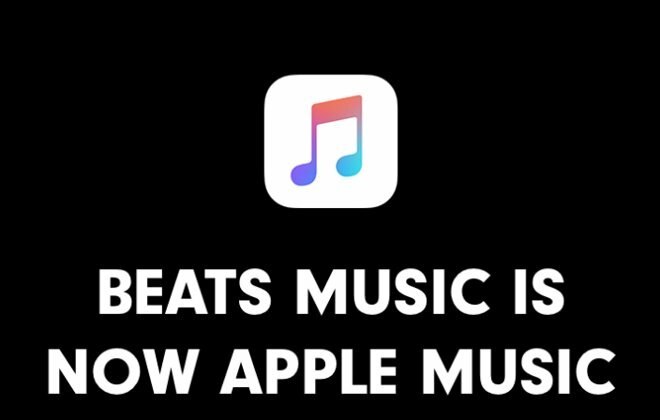 In addition, Apple also issued an update for its Beats Music app on Tuesday, enabling users of the outgoing service to easily migrate to its successor. The update is available to download on the iOS App Store. 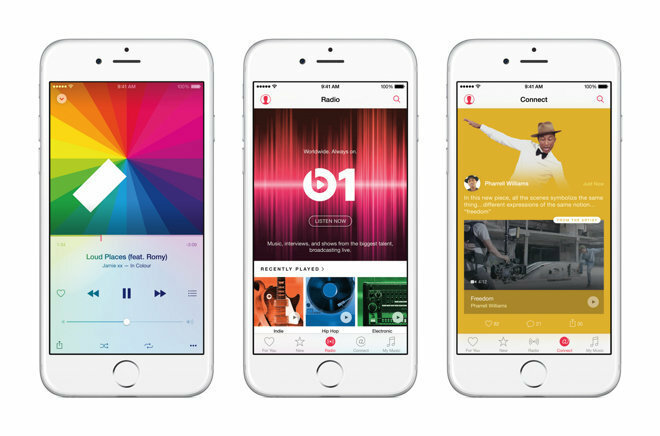 Apple's future in the music business could to some degree hinge on the success of its new subscription service. While iTunes is still the world's most popular store for music downloads, the industry as a whole has been shifting towards streaming, and Apple risks losing further ground to streaming competitors like Google, Spotify, and Rdio.